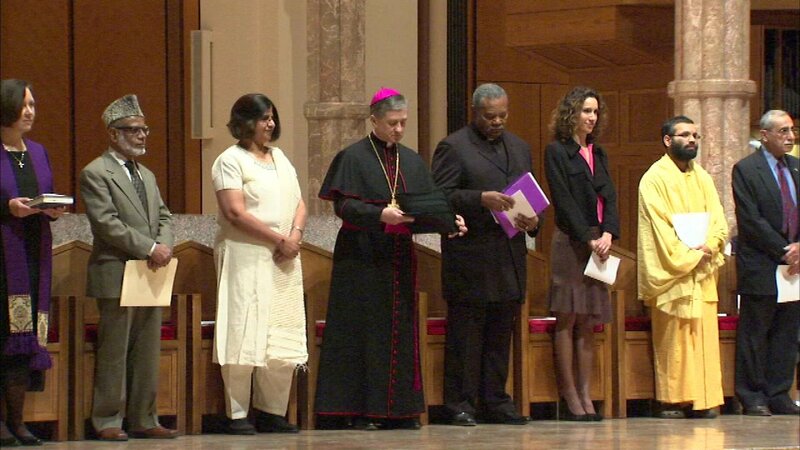 Archbishop Blase Cupich led an interfaith prayer service at Holy Name Cathedral on Tuesday night. CHICAGO (WLS) -- Archbishop Blase Cupich led prayers for peace in Chicago on Tuesday night. The archbishop organized an interfaith prayer service at Holy Name Cathedral, where he asked participants to pray for Chicago and join together to pursue mercy and justice.